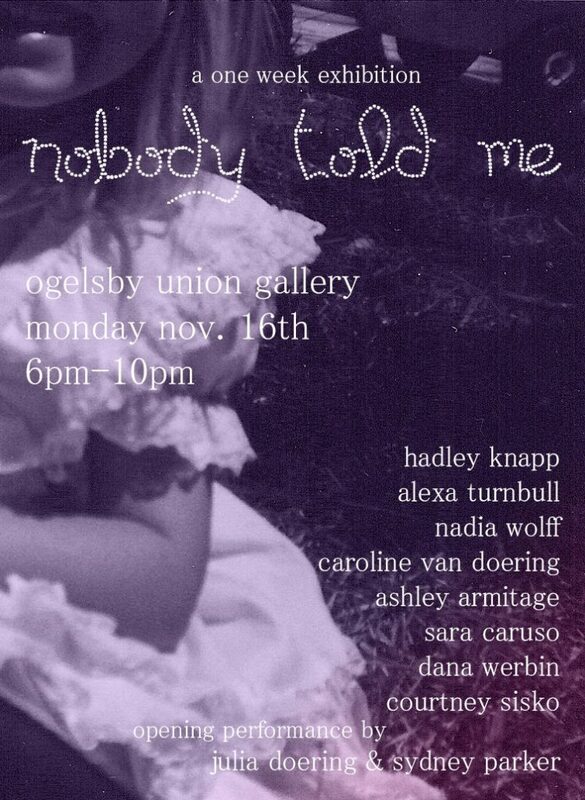 FSU Art students in Nobody Told Me, a one week semi-interactive exhibition about unspoken occurances with our bodies, from menstruation, to mental illness, to sexual and gender exploration. The Ogelsby Gallery is on the second floor above Chili’s in the FSU Ogelsby Union. Opening reception will be November 16th from 6-10 pm and the hours for the rest of the week are from 8am-10pm, the last day being November 22nd.